against a gang of kidnappers, recovered two women who were kidnapped for ransom from Multan. 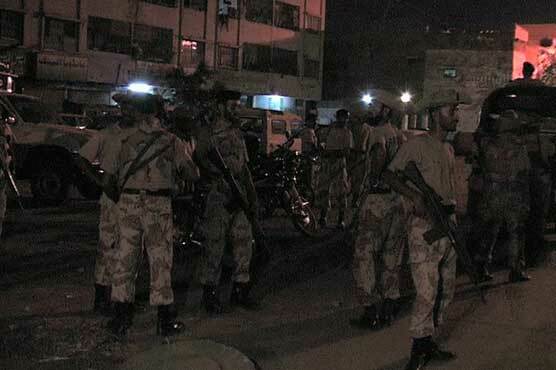 A statement here on Sunday said that on a tip off, the Rangers Sindh carried out raid in Larkana and Jacobabad and arrested members of a group of kidnappers. kidnapping of women from the Punjab and selling them in the interior of Sindh. The statement said that accused identified as Punhal Odho and Rajb Odho, had allegedly kidnapped two women from Multan and shifted them to the interior of Sindh and demanded ransom from their relatives. On the complaint of the relatives, the Rangers in an action got recovered the two abducted women from Jacobabad and handed them over to their relatives. After initial interrogation, the accused were handed over to the police for further action, the statement added.